"ET's Country Cottage" This 3 bed, 1 bath Stick built ranch home consists of an open concept dining, kitchen setup, homemade barn doors decorate your hallway and double as bath and bedroom entryways. Huge country bathroom, an oversized rarely found stone fireplace and back deck. This home sits just far enough off the road to eliminate all that snow plowing. There is a woodstove in the garage and pull down stairs for extra storage opportunities. 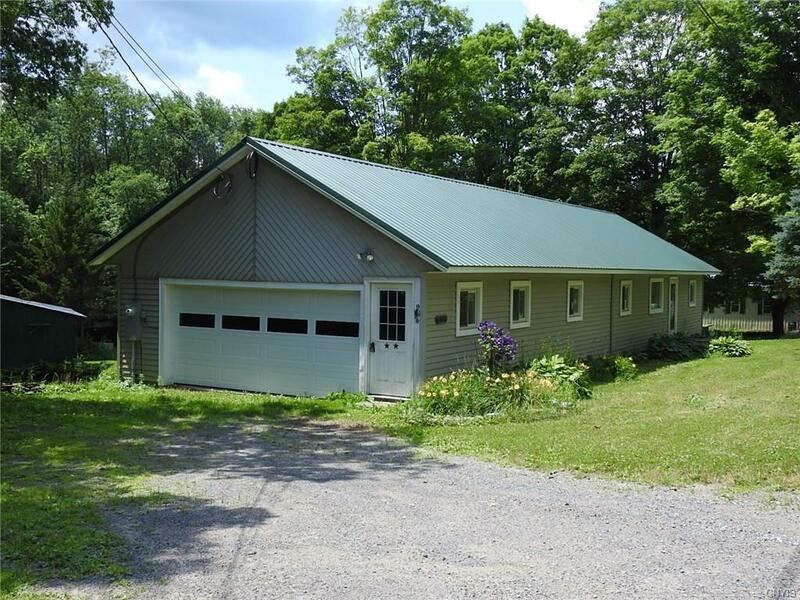 Detached, heated, 24'x40', 2-4 car pole bldg with 200amp service all on 2 acres surrounded by woods for privacy.